Here’s a great problem to have: Producing so much high-quality content that your audience gets overwhelmed. But the thing is … it’s still a problem. 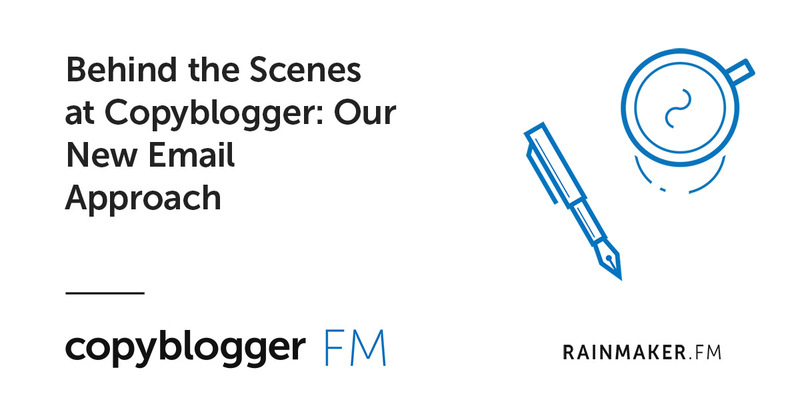 Today, Sonia Simone and Pamela Wilson take you behind the scenes to look at the development of our new weekly email roundup — Copyblogger Weekly. We’re putting this new approach into place to help our beloved audience get more out of the (we admit it) firehose of content we publish.